There is a significant gap in educational achievement between pupils identified as SEN and pupils with no SEN and when more than 20% of the school population are identified as having SEN, this obviously affects all schools and all teachers. Pupils identified as having a special educational needs do face barriers to their learning, but with proper support there is no reason for them to underachieve. So what can you or the whole school do to address the learning barriers for their underachieving pupils? 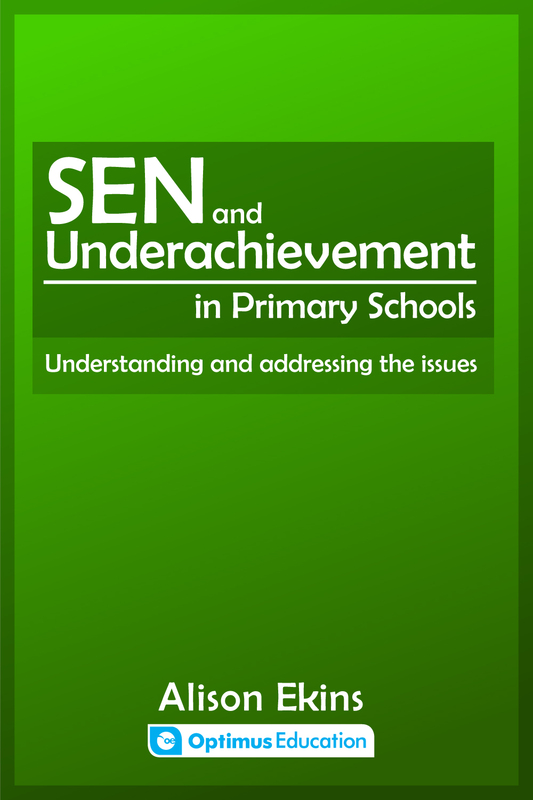 This eBook is a section from the Understanding and Tackling Underachievement in Primary Schools which is currently on sale and available in both print and eBook. equip teachers to engage in action research and reflective practice. support teachers to reflect on their practice and engage in action research. More than 20% of pupils in school are currently identified as having a special educational need: a significant proportion of the pupil population. Teaching children with SEN and ensuring the barriers to their learning are addressed is therefore the responsibility of all teachers. This section helps to identify and suggest ways to positively address issues causing underachievement for pupils with SEN. Create action plans to address underachievement at a whole-school and individual level. To bring about change across a school, it is important for staff to work together and to address the issue at a whole-school level. For lasting and meaningful change to occur, staff need to understand the central importance of culture, values and expectations and be prepared to question these in your school. Here we look at how you can establish collaborative problem-solving through action research, reflective practice and communities of enquiry. See the central role played by engaging pupil voice and understand how to go about doing this.